The poop coffee will soon be gone. It’s one of the fastest extinctions of an animal specie in the wilderness. The mongoose that eats and poops this coffee is held in captivity and force-fed coffee, for mass production and distribution to naive tourists. I was naive too, and bought into the lie that the coffee is harvested in the wild. This coffee is very expensive, exotic, and makes a perfect gift for a coffee lover. It’s both coffee and a novelty :), so there you go. I had my backpack full of the poop coffee as gifts for my friends, when I met with a woman who happened to do field work for United Nations in Bali. She told me that they are trying to stop this practice within a year or so. So by the time I go there again, there may be no poop coffee anymore. Not a loss for me, I’m not a coffee person anyway. 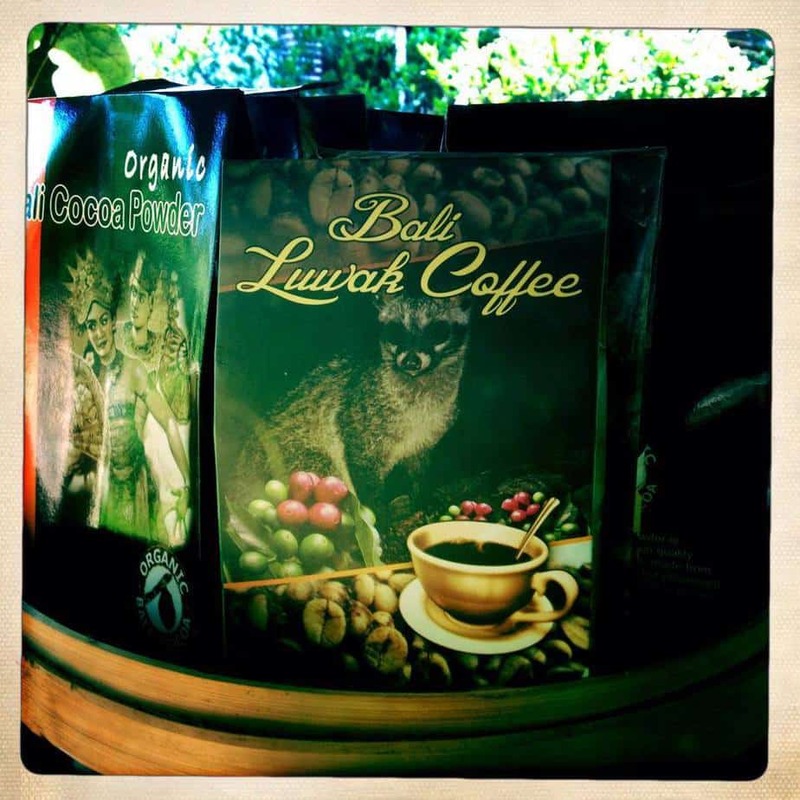 “Kopi Luwak – Have you heard of the poop coffee? A coffee made from the excrements of a mongoose (civet). Seriously! I did not believe it, until I went to a plantation and had a cup. It is the most expensive coffee in the world, selling between $100-$600 per pound. It started to be served in a coffee shop in Australia in 2006 for about $50 usd per cup, then in London for about $75 usd per cup. The price of a cup in coffee shops in Ubud, Bali is $10 usd per cup, and I paid $4 usd for a cup at a plantation just outside the city. Kopi=coffee, Luwak=civet, so it translates as civet coffee. The civets feed on coffee fruit in the wild, then defecate the coffee beans in entirety. Such beans are gathered, washed, sun dried, and roasted. According to some studies, the enzymes in the digestive tract of the animal infuse the coffee beans and break the proteins into free amino acids that change the taste of the coffee by reducing its bitterness and altering the flavor. The coffee tasted the same to me, but I’m not a coffee drinker. The only countries in the world that produce such coffee are Indonesia, Phillipines, and East Timor. The plantation I visited claim that they gather the coffee beans in the wild, but it’s highly improbable. It’s much easier and more economical to produce it in civet farms where the animals are either caged or roam free in confined areas, so it simplifies the gathering process. This raises animal cruelty issues, and many people refuse to participate in such actions by consuming the coffee. So it makes sense from a marketing standpoint to claim that it’s a totally natural process.